The Treaty of Paris ended the Revolution, established the United States as a member of the community of nations, and fixed its boundaries. But it also left formidable tasks in its wake. Americans still had to convince a skeptical world that their new nation could maintain an effective government for its people, assert control over its new lands, and protect national interests beyond its borders. In trying to solve these problems during the first years of independence, the nation faced fundamental questions both about the relationship between the states and the central government and about the nature and. role of military forces in a free society. When Richard Henry Lee had introduced Virginia's resolution in 1776 calling on Congress to vote for independence, he had also urged the delegates to draw up an instrument to govern national affairs. Even as Jefferson's committee began drafting the Declaration of Independence, a second group headed by Pennsylvania's John Dickinson had taken up the task of fashioning Articles of Confederation-the nation's first constitution. Dickinson proceeded to write the basic draft himself. An eminent lawyer, he believed that the Articles should preserve the familiar organization of American society and restore the liberties lately threatened by Parliament. At the same time, Dickinson was a pragmatic politician who realized that the nation's first and most important task was to ensure its survival in a war against a vastly more powerful enemy. His Articles, therefore, were designed primarily to deal with the war emergency, providing the Continental Congress with the specific powers needed to meet Washington's military needs. A militiaman himself, Dickinson counted on the states to maintain local forces adequate to local defense-the "well-regulated" (well-trained, well-organized, and well-equipped) militias that had played so important a role in the ideology of the colonial days. But, as the presence of a British army in New York City made clear, situations could arise that no single state or region could handle. He planned, therefore, to turn Congress into a national government with strong central powers, especially in the military arena, and provide after-the-fact justification for the creation of the Continental Army (see Selected Documents). Congress debated Dickinson's Articles in the summer of 1776, focusing on powers to be retained by the states, but then put the revised draft aside to deal with other matters. Meanwhile, the Continental Congress turned its attention to General Washington's requests for help. In retrospect, the national legislature proved to be an impediment to the progress of the war. Established primarily as the instrument to develop a joint defense effort, the Congress was responsible for enlisting a Continental Army, obtaining reinforcements when needed from the state militias, paying and supplying the troops, and conducting a foreign policy that supported the independence movement. But even Dickinson's original draft of the Articles, calling for a far stronger centralization than provided by subsequent versions of the document, had envisioned supporting no more than the basic military machinery as it existed in the summer of 1776: a small body of regulars enlisted annually and backed by large numbers of militiamen. The loss of New York City in September 1776 had led a reluctant Congress to accept Washington's advice and create a much larger regular Army�one raised for the duration of the war and trained to meet European troops in open battle�but Congress was never able adequately to sustain this expanded version of a national defense system. It left Washington to wrestle with the problems of organizing and fielding an expanded force. He did this by coordinating with the various state governments to ensure that a sufficient number of regiments were mobilized and positioned in time to counter the Howe-Burgoyne offensive. Congress, meanwhile, faced the perhaps even more daunting problem of finding the necessary weapons, equipment, medicines, and food for the American forces, a logistical operation on a scale never before attempted in North America. Given the weakness of the congressional system, failure was predictable. By the time Washington's main army moved into Valley Forge in December 1777, Quartermaster General Thomas Mifflin's supply system had collapsed from the strain. During the next year Washington and his staff pressed for more immediate and responsive congressional support, but politicians with a residual aversion to standing armies incorrectly interpreted Gates' victory at Saratoga in October 1777 as vindication for a return to the older defense model. These delegates, working with a minority of Army officers, including Mifflin and Gates, pressed for a reduction in the number of continentals and a return to the earlier militia ideal of the yeoman farmer. Washington, most of his senior officers, and other delegates fought this movement, and early in 1778 the issue came to a head in an ill-defined confrontation known to history as the Conway Cabal. Pushed by Mifflin, Congress in October 1777 had reorganized the Board of War, its committee that exercised general oversight over defense, by adding outside experts and in other ways attempting to transform the group into a true executive arm for military affairs. Gates was named the Board's presiding officer in a manner that implied that Washington would lose overall control of the war effort. This implication was reinforced when Congress then attempted to launch an invasion of Canada without coordinating its plan with the Commander in Chief. 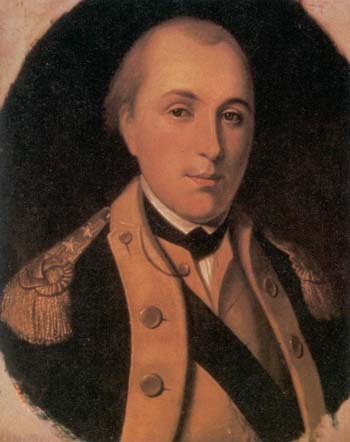 Meanwhile, Gates and Mifflin schemed to get Lafayette, a member of Washington's staff and considered by many congressmen as the key to alliance with France, to serve as a stalking horse for Major General Thomas Conway, the Board of War's Inspector General and their real choice to lead the expedition. The young, politically sophisticated Frenchman, however, refused to cooperate. His adherence to the military chain of command, Conway's own intemperate remarks, and the emergence of strong congressional backing for Washington in the form of a "Committee to Camp" were sufficient to turn back this challenge. Although Congress, led in this instance by Gouverneur Morris, supported Washington by preserving the basic military structure intact, it again failed to make any fundamental improvements in the administrative machinery to support the war effort. Piecemeal reforms would allow the Army merely to stagger along until final victory. Washington paid a heavy cost in time and energy because of this inability of a weak Congress to support the Army adequately. The Commander in Chief often had to put aside questions of strategy, tactics, and morale in order to try to convince thirteen separate state governments of the need to provide supplies and money. And despite the national importance of his military needs, his was merely one voice among many vying for the attention of state leaders. Governors, even those deeply committed to the welfare of the Continental Army such as William Livingston, George Clinton, and Jonathan Trumbull, possessed only limited powers under the new state constitutions, and they had to submit Washington's pleas for men and supplies to their legislatures, where approval was often tied to local political concerns. As the war progressed and the needs of the Army multiplied, the lack of strong national government one step removed from local and state concerns increasingly frustrated or hobbled Washington's ability to conduct the war. implementation was blocked by Maryland. Taking advantage of the requirement for unanimous consent�the same condition imposed on the vote for independence�Maryland insisted that states with claims to the vast unsettled regions of the west transfer jurisdiction of these lands to the national government as the price for its support. Finally, after Virginia promised to make this concession, Maryland's delegates signed the document on I March 1781 and the Articles took effect. Actually, the Articles merely formalized a national government that in most essentials remained severely restricted. Under their terms, the United States remained a "firm league of friendship" that bound together thirteen independent entities. No provision existed for a national executive or judicial organization, and the one-state, one-vote procedure rule in the old Continental Congress continued to frustrate the political process. The national legislature lacked authority to impose taxes, and therefore could not provide for its own revenue. It could only ask the states to make contributions "for the general good." The Continental Army was responsible to the Congress, but it consisted of troops raised and sustained by the individual states. Congress could not enforce the quotas it set for each state, and control of the purse strings allowed the state legislatures to retain a final say in many areas of military matters. In foreign affairs, although Congress could enter into treaties and conduct diplomacy, it did so only as an agent of the states, and the states technically were free to pursue independent agreements with other nations or Indian tribes. In a related area, Congress could not control international trade, or even trade between the states. depended heavily on commerce, adamantly refused to approve the idea. As the Revolution drew to a close the nationalists were defeated on a second critical issue. Shifts in congressional membership and a revival of old ideological objections to a standing army in the traditional European sense resulted in strong opposition to the work of a congressional committee established in April 1783 under Alexander Hamilton to explore the idea of a peacetime army. The committee requested General Washington's views, and he in turn solicited the opinions of his most trusted subordinates before transmitting his "Sentiments on a Peace Establishment" in effect an official Continental Army position, to Hamilton on 2 May. To these officers the Revolution had underscored the need for a peacetime military establishment consisting of a small regular Army, a uniformly trained and organized militia, a system of arsenals, and a military academy to train the Army's artillery and engineer officers. The most original part of Washington's "Sentiments," echoed by Generals Steuben and Knox in later pamphlets, called for institutional change in the militia. The generals never questioned the basic premise that every individual owed society military service. On the contrary, they argued that the lessons of the Revolutionary campaigns showed that national defense depended heavily on the contribution of the citizen-soldier and that a "well-regulated" militia would eliminate the need for a large peacetime force. At the same time they considered the existing system defective and proposed reforms to enable the militia to serve more effectively with the regulars on the battlefield. Specifically, they called for the establishment of uniform organization and training, and the creation of a select force, composed of men between the ages of 18 and 25 who would receive special advanced training beyond that received by the average militiaman. This was not a radical change; it simply formalized the old idea of the Minutemen, bringing them under supervision of the national government rather than the individual states. that the four proposed battalions of regulars, continentals primarily from Massachusetts, might take sides in a land dispute between the two states. Finally, on 3 June, one day after ordering the discharge of the last Continental regiment, Congress created a peace establishment, a single regiment under Lieutenant Colonel Josiah Harmar. The First American Regiment consisted of eight companies of infantry and two of artillery (perpetuated by today's 3d Infantry and 1st Battalion, 5th Field Artillery). It was enlisted for a single year and ordered to oversee the occupation of the western lands, chiefly by creating a buffer zone in the wilderness between settlers and Indians. Other military duties were left to the militias of the individual states. These militias, which had absorbed many of the ex-continentals upon their discharge, were expected to maintain combat readiness. Demobilization of the Continental Army did not end the network of associations that had developed among its veterans, the militiamen who had served with them, and those nationalist political leaders who had supported the Army in Congress and the states. All returned to peacetime civilian life with shared memories of the inadequacies of the Articles of Confederation. The fellowship forged during the war remained particularly strong among ex-Continental officers. Some, like Washington, had been Masons before the war, and many more joined that order during the struggle. When they returned home, they promptly organized chapters among fellow veterans to preserve contacts made during the war. Some officers helped establish the first national veterans' organization, the Society of the Cincinnati. The group's name was a deliberate attempt to evoke the classical ideal of the citizen-soldier as personified by Lucius Quintus Cincinnatus, who returned to the life of a simple farmer after leading the armies of Rome to victory. Although Washington served as the organization's first president-general, the society was not without its critics, who saw it as an effort to establish a form of hereditary aristocracy. This approach to settlement attracted considerable support as Congress began to wrestle with the responsibility it had gained under the Articles for the western territories. On 23 April 1784 it approved a plan, originally drafted by Jefferson, providing for an orderly transition to self-government in the Northwest Territory. A second resolution, the Land Ordinance of 1785, established procedures for the surveying and settling of the west. Ironically, Congress sought to accomplish these tasks through a process very similar to George III's infamous Proclamation of 1763. Finally, on 13 July 1787 Congress passed the Northwest Ordinance, which established a territorial government to rule the area until settlement reached a density sufficient to form states. Congress' weakness actually complicated western settlement because the limited ability to conduct negotiations and to field military forces left the nation's frontier vulnerable. Congress could only stand by, for example, when the British refused to evacuate those western forts ceded to the United States under the terms of the Treaty of Paris. From these bases, British merchants involved in the fur trade worked to encourage tribal resistance to the American government, thus contributing indirectly to sporadic Indian raids on settlers pushing westward into the trans-Appalachian area. Most significantly, in December 1786 British officials in Detroit hosted a meeting of Indians from ten tribes in an attempt to organize opposition to the American advance into the Ohio Valley. 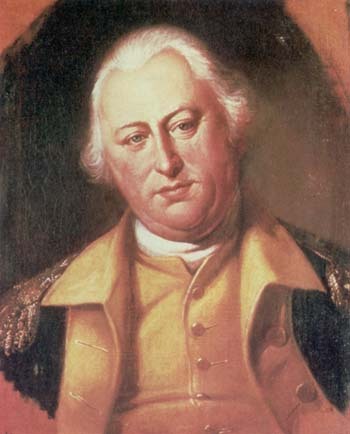 To make matters worse, individual state governments began to prepare for independent military action to meet the danger, prompting Henry Knox, who had been appointed Secretary at War in 1785, to warn Colonel Harmar that as commander of the First American Regiment he was an official of the United States and therefore not responsible to any governor. The financial restrictions on Congress created even more complex problems. The postwar depression had hit small farmers and small merchants particularly hard. Elimination of traditional British markets coincided with a period of rampant inflation in the United States, and Congress lacked the power to impose a retaliatory tariff to force open foreign markets. At the same time it was unable to standardize currency or set financial policies to reduce the impact of the inflation. Shortages in hard cash coupled with business failures and farm foreclosures created unrest throughout the nation, but especially in western counties, which traditionally had been underrepresented in state legislatures. ticipation in the Fort Necessity campaign of 1754. As a private citizen, he later invested heavily in the region. Washington feared that without positive government action, western settlers inevitably would begin to use either the Mississippi River or the Great Lakes as trade routes and drift away from the union. He wanted to develop east-west lines of communications. New roads and improvements in river navigation, he reasoned, could be used both to supply military posts and to support economic development. He urged elected officials to pursue this idea, and in the fall of 1784 he made a 640-mile trip through Virginia's frontier regions to assess their potential for development. This expedition strengthened his conviction that the Potomac and James rivers, -in particular, could be improved and tied in to the Ohio River basin to bind the western settlements to the nation. ing figures on both sides of the river, and the fact that the individuals knew each other on a personal basis all contributed to the meeting's success. The representatives agreed to form a quasi-public corporation, the Patowmack Company, to carry out improvements to the waterway and collect tolls to finance them, with each state purchasing a block of stock to provide seed money. The agreement eliminated all jurisdictional and customs issues for that part of the river above the Great Falls. Both states approved the agreement, but Washington was dissatisfied. He and Madison believed that although progress on the Potomac issue represented a first step toward the long-range goal of securing the west, other states, especially Pennsylvania, needed to become involved. Washington's personal financial involvement in the new Patowmack Company forced him to relinquish public leadership of the drive, but Madison quickly assumed command. Madison won agreement to a second Virginia-Maryland conference, which in the end was held at Washington's home after some confusion caused by Virginia's failure to notify its delegates of the meeting. On 28 March 1785 Virginia and Maryland signed the Mount Vernon Compact, which granted reciprocal rights to seamen of each state in using the Chesapeake Bay and its tributaries, settled criminal jurisdiction and safety responsibilities, and recommended solutions to the more complex issues of import-export duties and currency exchange. The delegates forwarded the draft compact to their legislatures for approval with the recommendation that yet another meeting be held, this time with other states present and with an agenda that included the Ohio River system. The success of the Mount Vernon meeting encouraged Madison to proceed with his long-range plan to discuss broader constitutional issues on the state level. He had been repeatedly frustrated in his efforts to persuade the Virginia General Assembly to send instructions to its delegates in the Continental Congress to push the states to grant Congress expanded powers to deal with the regulation of interstate and international trade. Now, after winning approval for the Mount Vernon Compact, he -changed his tactics and introduced a proposal in the Virginia Assembly to act on the suggestion of the Compact commissioners. On 21 January 1786, after a week of debate, Virginia issued an invitation to all the states to attend a special meeting on commercial issues in Annapolis, Maryland, in the. first week of September. Washington, with strong support from Madison and others interested in strengthening the national government, immediately began lobbying among the continental veterans throughout the country to persuade the other states to name delegations. 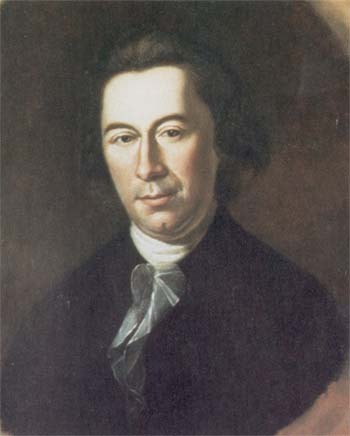 Eventually twelve representatives from five states met at George Mann's Tavern, which became the site of the Annapolis Convention.1 Four other states (New Hampshire, Massachusetts, Rhode Island, and North Carolina) named delegations, but none of their representatives arrived in time for the meeting. The remaining four states (Connecticut, South Carolina, Georgia, and Maryland) decided against participation. Informal discussions among the delegates, most of whom were old friends from Congress or the Continental Army, preceded the opening session on 11 September, when Delaware's John Dickinson, the senior statesman of the group, was chosen chairman. The delegates agreed immediately that they could not proceed with the stated purpose of the meeting because so many states were unrepresented and because the states with delegates in attendance had each given their representatives different powers. At the same time, the delegates, all strong nationalists, decided that some positive action should result from the abortive meeting, and they appointed a committee to draft a report to the individual state legislatures and Congress. The delegates agreed that the question of trade regulation could not be divorced from larger political issues relating to the weaknesses of the Articles of Confederation, but this opened a subject they had no authority to discuss. Apparently Abraham Clark of New Jersey suggested that the report recommend a second meeting explicitly empowered to frame measures to strengthen the Articles. Alexander Hamilton drafted a report along these lines, but other members of the committee considered his proposals too strong, so he, Madison, and Edmund Randolph reworked it. The full convention spent two days amending the final report, which summarized their instructions and activities, pointed out the need for a broader mandate, and issued a call for a meeting to be held in Philadelphia on the second Monday in May of 1787. Dickinson signed the finished report, and the meeting broke up on the afternoon of the 14th. The delegations each carried a copy of the report back to their state legislatures. Dickinson took a copy to the Continental Congress where he introduced it on 20 September. On 21 February, after consideration by a committee containing representatives of each state, Congress concurred and endorsed the call for a convention at Philadelphia. By that time seven states had already voted to send delegations, and five more soon followed suit. Only Rhode Island decided not to participate. 1. For an extended discussion of the Annapolis Convention, see Appendix A.
nomic problems were the catalyst, as the nation's debtor farmers became frustrated with the indifference to their plight shown by the mercantile interests who dominated most state governments. Threats gave way to occasional violence as farmers blocked court sessions to prevent foreclosures. In Massachusetts' westernmost counties, mobs shut down the county courts; their actions earned a stinging denunciation from Governor James Bowdoin and criminal indictments for the suspected ringleaders from the state supreme court. The wave of protest crested in late September when a group of armed men, informally led by Daniel Shays, a 40-year-old former Continental Army captain, blocked the court's sessions in Springfield. The outnumbered local militiamen under Major General William Shepard, another Continental veteran, offered no resistance. The following month a letter signed by Shays and other ringleaders circulated in the western counties, calling on the citizens to organize and take up arms in opposition to the state government. The legislature immediately reacted to the challenge. It passed several bills designed to address the protesters' grievances, but it also invoked the riot act, suspending certain civil liberties, and ordered elements of its militia into active service. Secretary at War Knox, observing events from the site of the United States Arsenal at Springfield, also reacted with alarm. Since no national troops were stationed at the facility, which housed a significant number of small arms and artillery pieces, he asked Congress to raise a national force to protect national property. Congress, citing a larger need to reinforce the frontier, authorized adding over 2,000 men to the Army, although only two artillery companies (perpetuated by today's 1st Battalions of the 4th Air Defense Artillery and 5th Field Artillery) were actually formed, and they arrived in Springfield long after the troubles had ended. wounded by artillery fire. The rest scattered, and by March the militiamen had ended the abortive uprising. About a dozen ringleaders were subsequently sentenced to death, although none was ever executed. Shays' Rebellion, as the incident was immediately dubbed, had repercussions far beyond the states borders. The rioting in western Massachusetts further undermined confidence in the Articles of Confederation in its existing form. Supporters of the British before and during the Revolutionary War had forecast such a collapse of law and order. Newspapers around the nation now reinforced that prediction, circulating dire warnings that the union was coming apart and that liberties won on the battlefield were about to be lost. Washington himself was severely upset by the incident. Many Americans agreed with Massachusetts' Fisher Ames when he wrote (under the pen name "Camillus"), "If we fall, we fall by our folly, not our fate." The Articles of Confederation depended for success to an unnatural extent upon mutual trust and confidence among the people living in thirteen separate and independent states; Shays showed that more was needed. The scene was set for the nationalists to take the center stage. Their demand for the creation of a central government powerful enough to transcend the individual interests of states and sections to ensure order and to protect the liberties won in the Revolution was beginning to attract widespread support. In September 1786 the Maryland Journal had printed the first public notice of the Annapolis Convention and its recommendations. In the course of the article, the editor commented, "Should this Address have its Effect, we may hope to see the Federal Union of these States established upon Principles, which will secure the Dignity, Harmony, and Felicity of these confederated Republics; and not only rescue them from their present Difficulties, but from that insolent Hauteur and contemptuous Neglect, which they have experienced as a Nation." The meeting scheduled for Philadelphia in 1787 would decide if such hopes could be fulfilled.